I grew up around music. Shoot, I’m named after a John Coltrane song, my father’s favorite jazz saxophonist. It’s always been a part of my life, whether it was hearing stories about my mother being a member of a ‘60s singing group, or dreaming about becoming the female Donnie Wahlberg in the girl version of New Kids on the Block. Or being dragged into my grandfather’s study where my father would make me listen to a jazz song and identify the instruments in the piece. The first romances I wrote—the ones that will never see the light of day—starred Ralph Tresvant and Donnie, and of course, there was some serenading going on. So is it any wonder that music is an integral part of my writing process? Like a lot of writers, music drags me into the mood of the book either by melody, mood or lyrics. I can’t write without it. Silence actually distracts me. But music? It takes me so deep into the characters and the story that hours can fly by. When I finally lift my head, the music is over, and I have hundreds of words down. 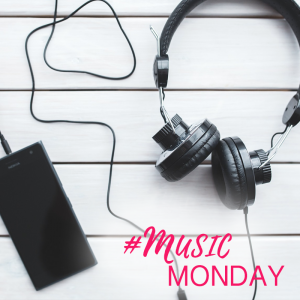 Before I started writing The Millionaire Makeover, I created a playlist that reflected the ugly duckling, best friend’s little sister romance. The entire list is below, and here’s why I chose several of them. Niall Hunter, the hero in The Millionaire Makeover, is Irish. Scarborough Fair by Celtic Woman is one of my favorite songs by the group, and always puts me in the mind of Ireland. So it had to go on the list. Maybe it’s because I first heard the song while watching The Twilight Saga: Breaking Dawn Part 2, but I just find A Thousand Years by Christina Perri one of the most romantic songs ever. Loving someone for a thousand years and loving them for a thousand more? Be still my heart. Yep, the Pink Power Ranger and Jules on Flashpoint can sing! I first heard Dancing In-between by Amy Jo Johnson while watching an episode of Flashpoint. The lovely music and the singer’s voice caught my attention. I googled it, and was shocked to find out it was her. Love this song. Simple, beautiful, just like the heroine. Start Again by Illyun is another Flashpoint alumni. Not only was the show awesome, but the music was, too! The melody for this song is beautiful, but even more so, the lyrics are gorgeous. And they fit what my characters were going through perfectly. Here’s a bit of them: “And those mistakes you made don’t make you half a man / There is weakness where there’s pride / A broken heart don’t mean a broken girl within / It’s not a sin to start again.” Sigh. Love them. 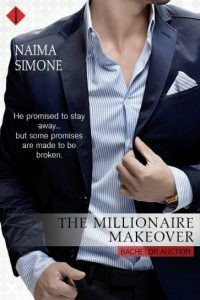 Get The Millionaire Makeover by Naima Simone for 99¢! He promised to stay away…but some promises are made to be broken. 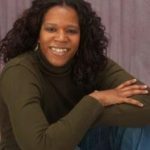 Holiday Recipes: Wynter’s Wonderful Lemon Bars with Wynter Daniels!